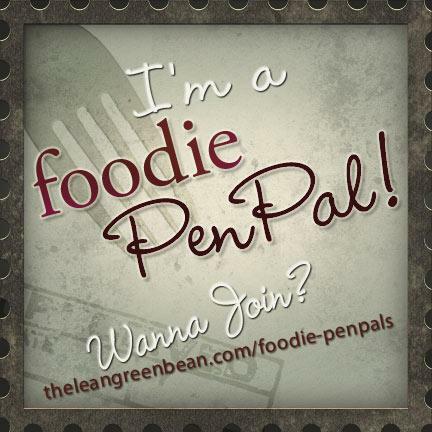 Teenie Baker: Foodie Penpals Reveal Day! I had a lot of fun with foodie penpals this month. I sent my package to Rebecca at Crunchy Can Feel Good. Head over to her blog if you want to check out what I sent! I received my package from Alison. She's so nice, and her blog is super fun to read. She posts about lots of things, from her favourite recipes to the (many!) places in the world where she's travelled. She sent me a fantastic package, and now I'm very excited to share it with you! When the package got here, I couldn't wait to rip into it! Sitting on top was a nice little letter that Alison wrote explaining about what she put in my package. 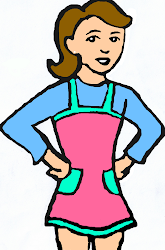 She went shopping at a European supermarket near her because of my recent trip to France. Here's a look at everything all together. First up are these rice chips. I'd never heard of tamari before, but my family loves rice chips so these were a perfect choice! This is a package of instant oatmeal (European style - but I can't quite tell what language...). I haven't tried this one yet, but it will be perfect for one of those busy mornings once school starts again. This one is a pear and balsamic jam/chutney. I love the combination of fruit with meat, so I can't wait to try this on lots of different things. We put it on our turkey-feta burgers, and it was great! Next up, this yummy nut bar. Granola bars are one of my favourite snacks, so this one was a perfect choice for me. It almost tastes like pecan pie! I haven't had a chance to try this one yet because it's been really warm here, but the honey-vanilla flavour sounds like it'll be yummy. This star shaped pasta was so adorable! I wanted to dig in right when I opened my package, but I thought my little sister would really like this, so I waited. It's on the menu for dinner tonight with pesto and salmon. See how cute they are? This was another perfect choice for me because I love caramel. I actually saw these everywhere in France! As much as I love caramel, I love chocolate even more, so this was another home run! Thanks so much to Alison for sending me such a wonderful package! I had such a great time participating in Foodie Penpals this month, and I was lucky to get paired with such a great penpal! That's a really unique assortment of items! The star shaped pasta is really cute!